[prMac.com] Toronto (ON), Canada - Zevrix Solutions today announces LinkOptimizer 5.2.12, a compatibility update to the company's workflow automation solution for Adobe InDesign. Awarded 4 out of 5 stars by Computer Arts magazine, LinkOptimizer automates complex image manipulation tasks and allows to significantly reduce the size of InDesign links, save processing time and reduce production costs. "LinkOptimizer makes me extremely happy", says Nynke Tiekstra, the owner of design studio ColtsfootMedia in Friesland, Netherlands, "It converted 10000 images in a 1800 pages project saving us at least 40 hours work, and it proved to be 100% accurate." LinkOptimizer can be purchased from Zevrix website for $259.95 USD (Light version: $179.95) as well as from Adobe Exchange and authorized resellers. Trial is also available for download. The update is free for LinkOptimizer 5.x users and $130 to upgrade from previous versions. 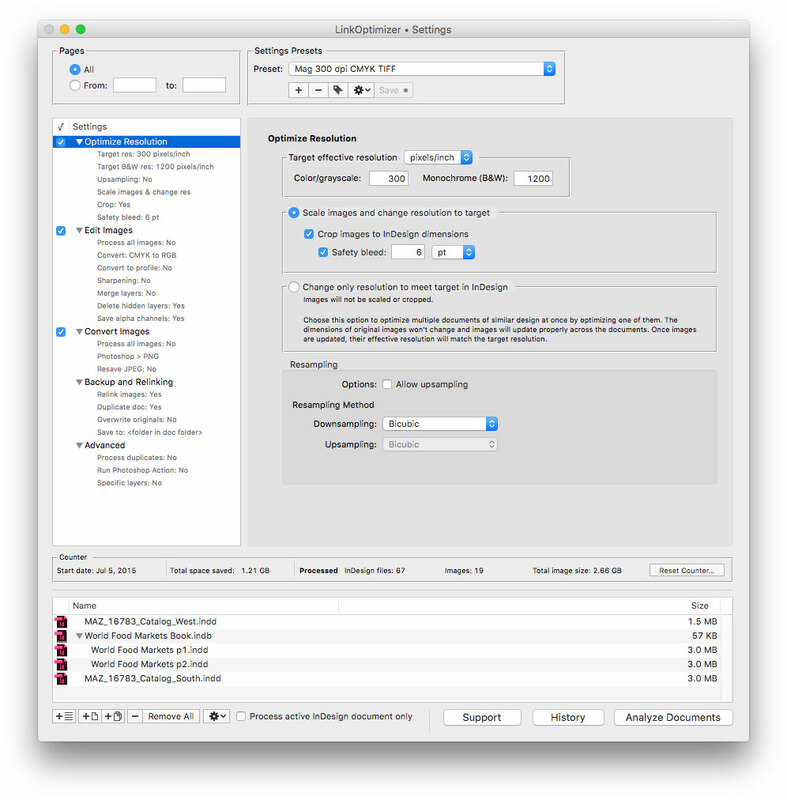 LinkOptimizer requires macOS 10.7-10.14 and Adobe InDesign / Photoshop CS5-CC 2019.